Katharine Mieszkowaki and Matt Smith reporting. “By 2019, when the military wants to hand over the arena-sized dump to the city, he’s hoping he won’t have to deal with the current crop of state regulators and city officials balking at his plans. “There will be a different governor then, too, and (regulators) all work for the governor,” said Mayer, the Air Force’s remediation program manager for McClellan. Mayer’s attitude about state and local officials, and his insistence that the Air Force can bulldoze ahead despite the state’s strict environmental laws, highlights an escalating clash between military officials and local communities over the plight of former bases now being converted for civilian use. 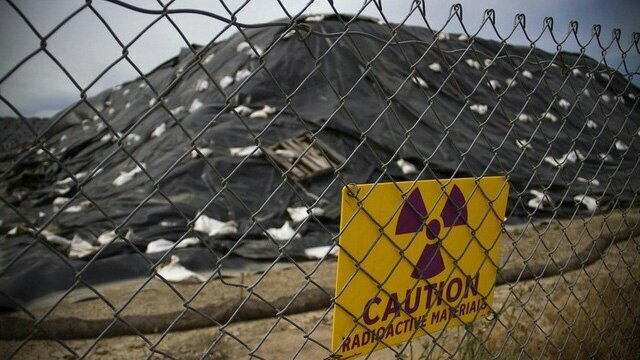 In a case that could affect bases around the state, the Air Force is burying radioactive waste on the site it supposedly is cleaning up, bypassing state environmental regulations because it is on federal land. The state regulators say the dump does not pose a health risk to nearby residents. But by pushing through the unwanted dump, the Air Force might create a precedent for other places where military agencies wish to avoid costly out-of-state hauling fees. This entry was posted in pollution, radioactive, water and tagged radioactive. McClelland air force base, radium.